Has Howdy Price Bitten off More Than He Can Chew? If this rings a cow bell, it’s because this is one of the many jingles that Howdy Price croones to the audience while accompanying his Rancheros to the ring. The self-proclaimed “Bull with the Golden Horns” has run afoul of the RockNES Monsters in recent weeks and has challenged intergalactic space heroes YUMA and BHK to find a third partner to meet Price and the Rancheros in the ring on July 29 at the Oceanview Pavilion. Finding the right tag team partner is trickier than re-entering the atmosphere, but RockNES Monsters have found a competitor to knock Mr. Price right on his ear. The jingle begins, “If you don’t got money, don’t call ‘Howdy! '” RockNES returned to CWFH with pockets full of space cash to spare no expense in finding the third person for their team. The jingle continues, “If you don’t got honeys, don’t call ‘Howdy! '” The YUMA and BHK found quite possibly the perfect candidate of honey: The World’s Sweetest Man, Gentleman Jervis! Jervis will join RockNES Monsters to spread the word of sweetness to the adoring audience and give Howdy Price and The Rancheros a run for their money. 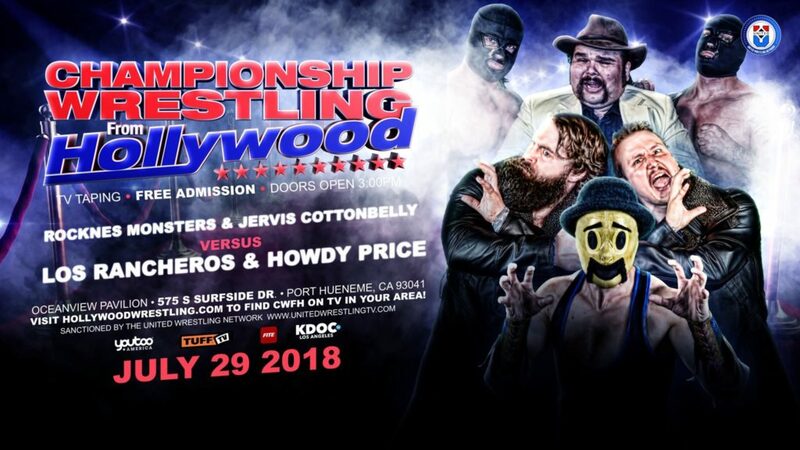 Join us on July 29 at the Oceanview Pavilion as Gentleman Jervis and the RockNES Monsters step into the ring against Howdy Price and The Rancheros!